While painting has long been the primary focus of the South Africa born artist Eileen Süssholz’s art making practice, she has recently turned her hand to ceramics. In this medium she finds a sensuous delight in the tactile character of clay; the process whereby it is essentially petrified through ‘trial by fire’ as well as its seemingly magical transformation into a glossy, highly finished state by glazing. Her work explores a number of themes, from the intensely personal to wider social concerns, and is reflective of an interest in philosophy and psychology. Being somewhat reactionary, she finds reassurance in traditional approaches to art making. The recalling of Hellenism in her latest work, with its agitated design and sensationalism – one that embodies a struggle against the dark forces of decline – reflects her preoccupation with the attendant nihilism expressed through postmodernism’s denial of inherent meaning and value. Eileen Süssholz was born and raised in South Africa. She studied Fine Art at the University of the Witwatersrand in Johannesburg before leaving to pursue a career in advertising. 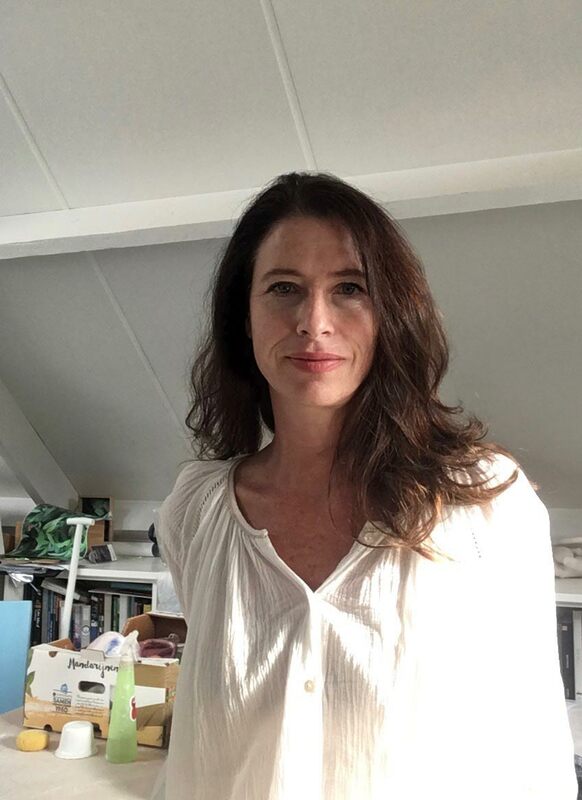 Since coming to live in Antwerp 17 years ago she has received a diploma in drawing from the Academy of Fine Arts in Berchem and a Bachelor of Arts in Philosophy and Psychological Studies from the Open University of England. She is currently studying Ceramics at the Academy of Fine Arts in Berchem. Eileen’s work was included in the 2016 exhibition “Cent artistes en Liberté” at the Jewish Museum of Belgium and she was selected to create an in-situ installation for the 2016 edition of ‘Sporen’ in Ypres. Other exhibitions include A(R)MOR at the Pedrami Gallery in 2018 and THE DYSTOPIA SERIES at in-Sight in 2015.